Sam DeBord is Managing Broker and VP of Strategic Growth for Coldwell Banker Danforth in Seattle. He has been involved in hundreds of real estate transactions and helped clients and agents find their way to successful closings. 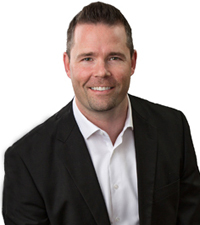 Sam is involved in all facets of real estate brokerage, technology, and data management. Sam started his career in I.T. and management consulting for PricewaterhouseCoopers, providing guidance to tech startup companies in the Silicon Valley. As a speaker and writer, Sam is known in the real estate industry for being on the cutting edge of issues ranging from technology to legislative policy. "Sam worked dilligently on our behalf on a complicated sale. Throughout the process Sam was attentive and always had our best interests as his primary goal, and his knowledge of the market and properties' potential was impressive. I found his advice was always well thought out and he was not afraid to point out potential pitfalls if our interests were not being addressed. Ultimately, the story has a happy ending and I would not hesitate to recommend Sam's service and expertise to anyone looking at a Real Estate transaction in the Seattle market."